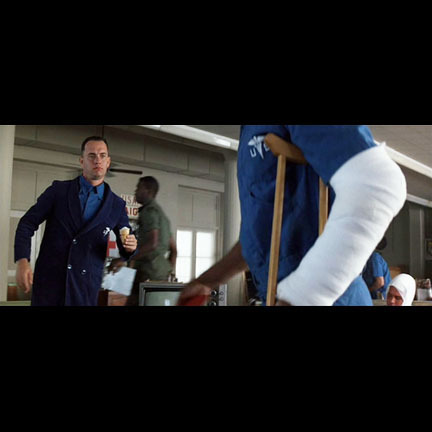 This U.S. Army hospital bathrobe was worn by the character Forrest Gump portrayed by actor Tom Hanks in the 1994 Academy Award winning motion picture FORREST GUMP. 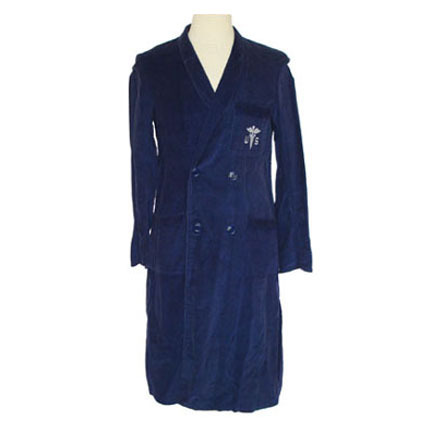 The royal blue corduroy double breasted robe is double breasted and has the embroidered U.S. hospital logo on the breast as seen in the film. 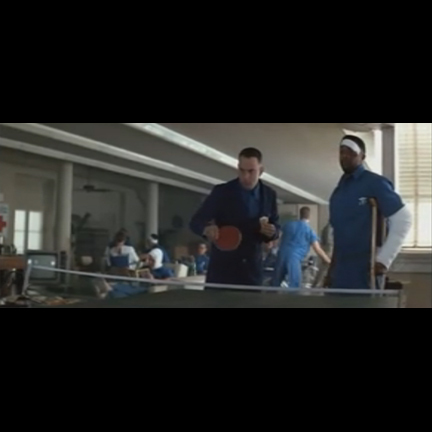 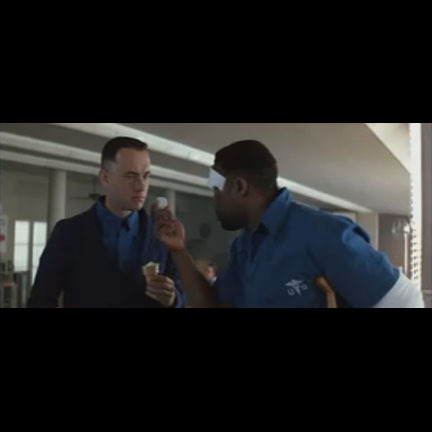 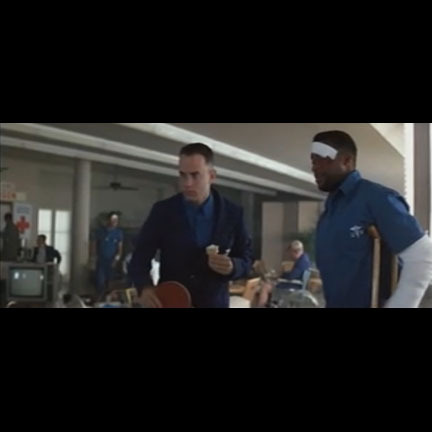 Mr. Hanks wore the robe in multiple scenes during the sequence where Forrest is convalescing in an Army hospital after returning from Vietnam and discovers that he’s unusually gifted at playing ping-pong. 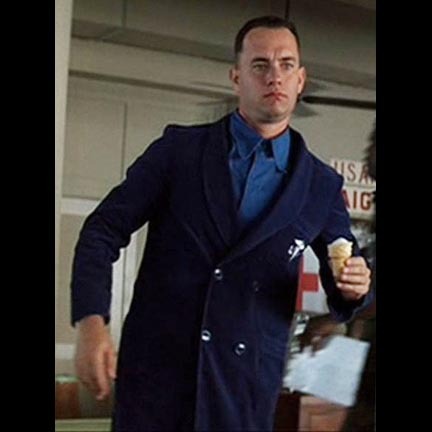 Tom Hanks won an Academy Award for Best Actor in 1994 for his performance in the film, and FORREST GUMP won additional Academy Awards for Best Picture, Best Director, Best Effect, Best Visual Effects, Best Film Editing, Best Writing, and Best Screenplay Based on Material from Another Medium. 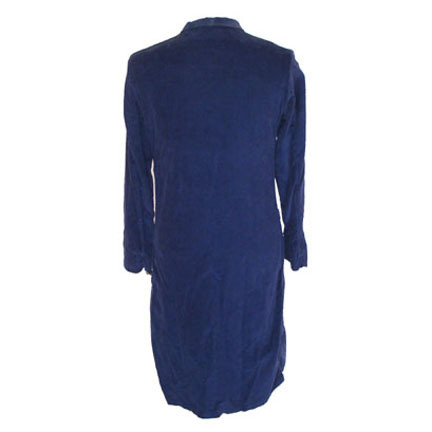 The garment is in excellent screen worn condition and comes accompanied by a letter of authenticity from the costume house.